I remember how much I used to hate you. It happened a little while after the bit when I really loved you. These days, my feelings towards you would be better described as indifferent. It wasn't a bad kind of hate, mind, but one that came out of love; a frustration that you weren't living up to your full potential. But you're about to be reborn as Android Wear 2.0, and that's exciting. This is much more than an update: it's a chance for a proper comeback. I believe you have a fighting chance too, but you need to know that things are very different now. You have new wares to flash, but you don't want history to repeat itself. You see, when you first showed up on the scene back in 2014, the smartwatch was exciting and full of promise. It had the chance to change it all, and you were going to help it do so. But it didn't, and you didn't. The smartwatch is still very much alive, don't get me wrong, and 2017 holds even more promise for it, but how you'll fit into the picture is not as certain as it was three years ago. First, Samsung is no longer your ally but a rival. I believe there's still a chance to rekindle the love there, but you're going to have to extend a rather lovely olive branch. Because the harsh truth is that Samsung no longer needs you in this department. Tizen is actually pretty good these days. Second, you need to give more support to the iPhone. I'm not just talking about Android Pay and a few other select niceties; it needs to be a well-rounded offering for iOS users. So far, 2.0 looks like it will be a much less hobbled experience for iOS, which is great, but you need to make sure of it. Because there are a lot of iOS users out there, and they don't necessarily all want an Apple Watch. It's expensive, and that alone presents you with a market opportunity. Third, work closely with more manufacturers. We know Google is partnering with a currently-unnamed company on its own smartwatches, but why stop there? A strong relationship between Google's Android Wear team and other smartwatch vendors could help bring out the best in these devices. What does this look like? Above all, don't be rigid – let OEMs customise. Manufacturers have vented frustration over the lack of customisability in the past, but Asus brought some nice touches of its own to Wear – more of that would be great. By going it alone, Samsung could add its rotating bezel to the Gear S2 and S3, but why can't we have an Android Wear watch that does the same? Fourth, bring back the old squad. Rumours of new LG smartwatches have us stoked, and we hope it won't be leaving Android Wear behind, but we want Motorola back too. When you consider how big a role it played in getting Android Wear off the ground, it seems absurd for it to be absent. Just think of yourself as the Schofield Kid in Unforgiven convincing William Munny to get back in the saddle, except instead of shooting cowboys, you just want him to make some nice smartwatches. Because the truth is, I'm not convinced that Google's own-brand smartwatches will start an Android Wear renaissance on their own. 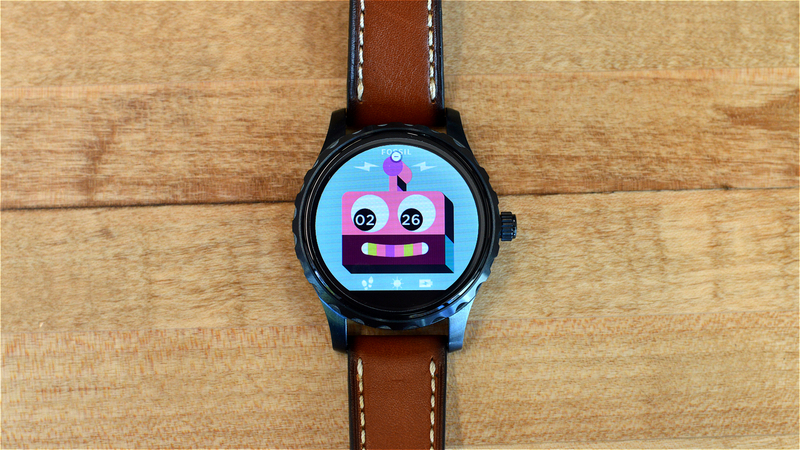 It's going to take Google to really push Android Wear this time. To borrow a VR analogy, throwing it out into the ether worked for Cardboard but we need Daydream levels of commitment. Don't get me wrong, you've still got plenty of supporters out there. Just this month we saw Casio and New Balance reveal Android Wear smartwatches, and ZTE has one just around the corner. But the smartwatch world is different now, there are new players in town. Pebble's gone, sure, but Fitbit looms large. Samsung is confidently forging its own path. Apple is seemingly cleaning up in sales. Huawei may be jumping to Tizen. Now's Android Wear's chance to swoop back in. Because when all is said and done, I believe Android Wear still has the power to own the smartwatch universe. But the game has changed, and you're going to have to play it differently. A hopeful fan (Hugh Langley).